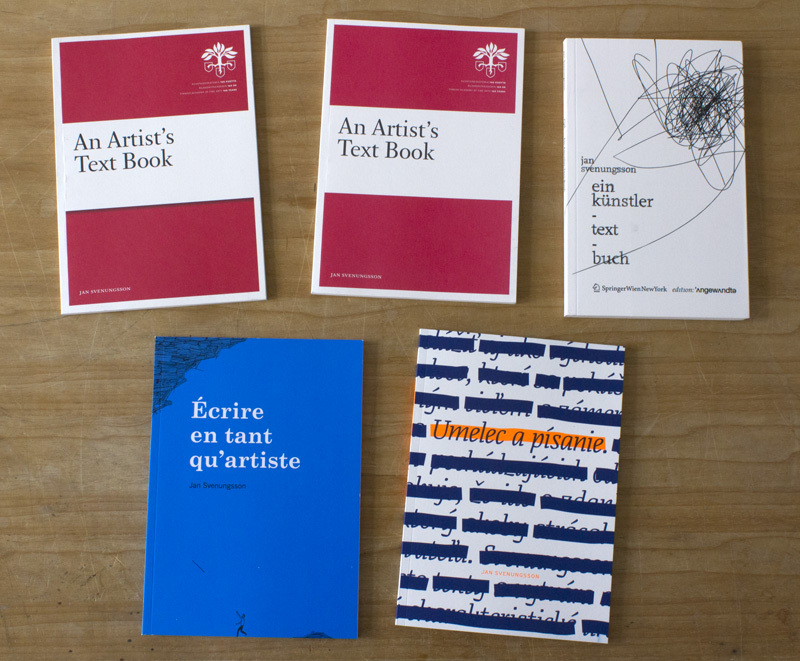 Four versions (and a variant) of one book: An Artist's Text Book. Written in English and originally published in late 2007 by the Finnish Academy of Fine Arts in Helsinki, a German translation of An Artist's Text Book was published by SpringerWienNewYork–edition Angewandte, Vienna in September 2012. It was followed by a French translation in October 2012, published by the Éditions de la Haute école des arts du Rhin. The Slovak translation appeared in March 2014. The reason there are two versions of the original edition in this photo, is that the left version of the cover was reprinted due to a design mistake. Only a few copies exist of the left version.